We’re looking for a Senior Java Developer to join our fast growing Finance team in Tallinn. As a financial institution moving billions of GBP of customer money in over 70 countries, TransferWise must have bulletproof financials. We need timely, accurate and scalable financial data to be compliant with regulations and make accurate business decisions inside the company. TransferWise is also rapidly expanding globally, creating new products to consumers and businesses, and entering new jurisdictions. This is a unique opportunity to work on large, mission-critical systems using modern technology - hundreds of microservices, stream data processing in near real-time, millions of data points every day. You will be developing system which handles hundreds of thousand of events about business decisions in different parts of the system and transforms them in meaningful and analysable financial records. Will help different product teams make strategic decision supported by accurate and reconciled data. be a part of creating an inspiring team environment with an open communication culture, closely connected to the whole TransferWise family. Apart from the all-expenses-paid company trips, stock options in one of Europe’s most hotly tipped startups, a laptop and team lunches every other Thursday, you won’t get much in the way of extras. However, we will give you 28 days holiday a year (plus public holidays), a fun, friendly atmosphere, plenty of opportunities to grow and the chance to be part of our irreversible change in how money moves across the world. Not from Estonia? - No stress, we will help you (and your family) with full relocation from any part of the world! At TransferWise, you’ll be joining a movement of people who believe in a better, fairer, more transparent way of moving money around the world. You’ll collaborate to do your best work and take on problems that no one has looked at before. If you’re keen to learn, grow, try new things and aren’t afraid of a bold plan, you’ll fit right in. Since 2011, we’ve had a clear mission: money without borders. Built by and for people who live global lives, we’re the fairest, easiest way to manage your money across borders. At TransferWise our strategy emerges from the collective brainpower of all our people, who are organised in dozens of independent, autonomous teams. Teams stay closest to our customers, so they choose what problems to solve and where to spend the most time. You’ll experience radical levels of ownership and empowerment within your role. Plus the opportunity to see the direct impact of your work on our customers. 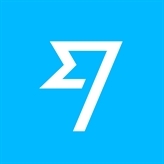 Want to get notified about new jobs at TransferWise?